A year ago today at the twenty second hour and the thirtieth minute Eastern Daylight Time, our yearning for a great leader to bring the Republican Party back home to its basic principles was answered. Someone at the GOP knew this, for Governor Sarah Palin had a countdown timer running throughout the RNC convention until her speech began. The Presidential candidate did not, but he may have realized win or lose that she was his final gift and final act of sacrifice for our nation. 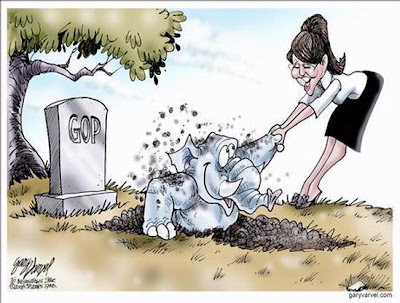 Since that time, Governor Palin accomplished at the conclusion of her term what 50 years of successive administrations in other states could only dream of. Her brainchild, the Alaska Gasline Inducement Act began the process of morphing a 30-year-old pipe-dream into a real pipeline to be completed by 2019. 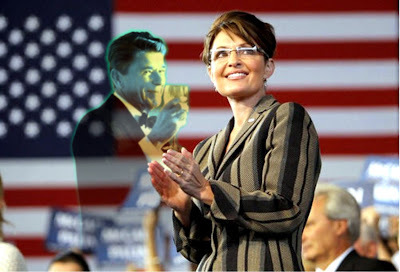 Governor Palin did not just say nice words about energy independence. Her actions made AGIA arguably the pinnacle of her career and will likely result in an accomplishment beyond the scale and scope achieved even by presidents. Most recently, she was summoned and passed her Time of Choosing. Two weeks later, using nothing more than a laptop and FaceBook, she changed legislation and altered political discourse. That history is simultaneously repeating itself and being made could not be clearer…. A year ago today, Governor Sarah Palin delivered what will go down in history as one of the best speeches–ever. More than 40 million people watched as she proved that she was not only ready for the big stage, but could dominate it. One year later, Sarah Palin is one of the most sought-after speakers, having to decline a plethora of requests from people and organizations who recognize and appreciate the substance found within her eloquence. Did you know that at the beginning of her speech, the teleprompter died? She never missed a beat, did she? She has a God-given gift and speaks from the heart, making it all seem so easy.